When Ross from Ross's Fruiterers received an unexpected guest last Saturday, he hadn't expected to be helping shape Government policy. 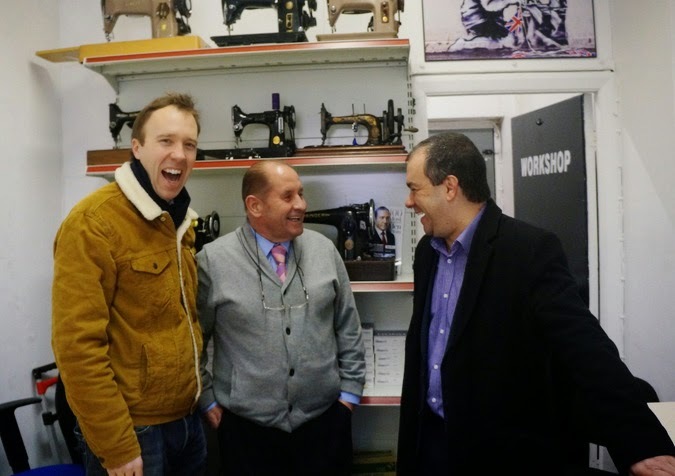 However a visit from Business Minister, Matthew Hancock on his '100 businesses in 100 days' campaign sparked a conversation which yielded a point which the minister has promised to take a closer look at. "All I want is for people to have 10 minutes to stop outside so they can maybe pop in a card, get some groceries, get everything they need and go." According to Mr Hancock, the Conservatives in Government had already proposed a ten minute grace period to avoid parking tickets but this was vetoed by coalition Lib Dem ministers. Of course there needs to be a balance between people parking to nip into a shop or two and blocking traffic with parked cars (also a big issue in Worcester Park). Obviously no stopping areas must remain clear at all times for the sake of safety but no parking and no waiting areas, where you can stop and sit in your car for however long you like or to load/unload (people and/or goods) respectively, should perhaps also allow people a 10 minute grace period to pop into a shop - it's not really that different and would benefit small businesses as well as local shoppers. Either way, the Minister will be looking at the idea again. They also discussed the issue of fruit testing which in the past had hindered the supply of really fresh fruit to customers. Testing times for some fruit imports had been as much as six days, meaning the fruit would often already be a week old by the time it was put on the shelf. Mr Hancock highlighted that having cut this down to six hours, greengrocers like Ross now have fresher fruit on their shelves for customers. This also means less wastage. 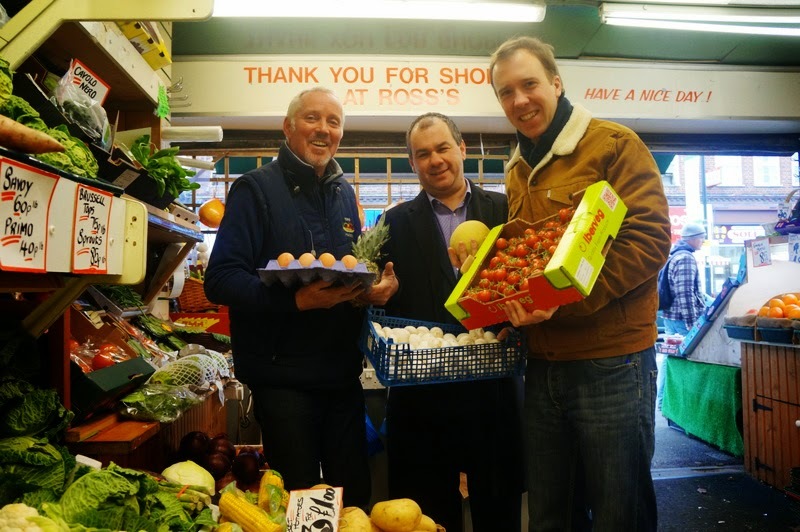 "It was fantastic to see exactly what cutting red tape has done for businesses like Ross’s Fruiterers in Sutton. Ross spoke to me about the importance of tackling regulation, lessening his costs as an employer and allowing him to do more for his customers. But a future Conservative government wants to go further. We are committed to the ambitious goal of cutting £10 billion more red tape in the next parliament so our nation's employers can grow and create jobs. We are proud this has been the first government to reduce the burden on employers, but there is still more to do. Healthy businesses are the backbone of a strong economy and our plan for red tape will help create more jobs, secure more futures, and ensure Britain is better off." "I know from running my own small business how much unnecessary bureaucracy eats into my time and productivity. Ross and his fruit shop are both integral parts of Worcester Park. Business rate relief has made running his shop cheaper, the reduction in national insurance has lessened the cost of employing his staff. Now we need to tackle the parking issue that I know is a major bugbear for Ross and other traders and part of my plan for Sutton, Cheam and Worcester Park." Hopefully the flow of Ministers through Worcester Park will continue and that come May, Mr Scully will be in a position to keep them to their word about the many issues important to the local area.